Defiance is a true story and based on Nechama Tec's book "Defiance: The Bielski Partisans." 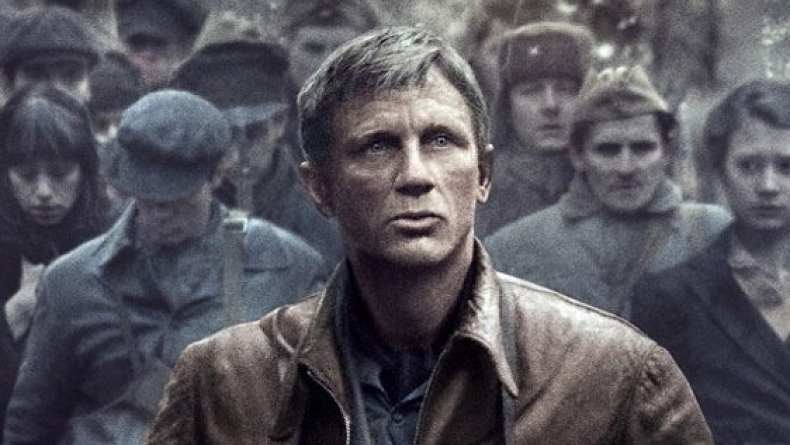 The film follows the Bielski brothers (Daniel Craig, Liev Schreiber, Jamie Bell, George MacKay) who are Jewish and must escape Nazi-occupied Poland during WWII. They are forced to leave and end up in a remote forest where the brothers join the Russian resistance fighters to help fight the Nazis. "Ronin (The Last Samurai OST)"